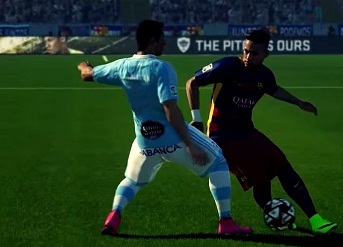 PES 2016, as well as the other games of the series from Konami, is a game that favors the attack. The speed at the tips and dribbling, whether dry or more elaborate, become lethal weapons for those who know how to use them. Therefore, we prepared a list of the best dribblers for you to use in the field. Neymar Jr. is one of the best skilled players in dribbling at present. The Brazilian's Barcelona is one of the best athletes and also one of the most skilled player. The list comes down to a good majority of well expected names. The quality of Ribéry on the left edge is impressive. He is super fast and dribbles easily, keeping the ball glued to his feet. Bedevils any defense dribble and has better numbers than all other players in the game. Messi is the best in the game, but he’s the vice in dribbles. With one point less than the attribute Ribéry, the Argentine is the second in this regard. Nevertheless, it seems to be unstoppable when playing against him. The talent of Neymar Jr. is huge, and dribbling is among his trademarks. The ball control and resources to create thoughtless solutions before the markers make him an unpredictable player, both in real life as in PES 2016. Hazard is a player who is up like Neymar. Below, thin but lightweight, with a speed and great on ball control, which facilitates dribbling enough. He has only one point less in this attribute than the Brazilian. Aiden McGeady is not one of the most famous players in the football world. The player is very good in the PES. He has overall 79 only. However, he has 92 dribbling - what makes him great option for those who like Cheap players and quality at the tips. Here is a player you should not imagine that would be in the top 10. The team's maestro Messi and Neymar has 92 dribble. The softly may no longer be among the best ten, but he is still great on ball control and dribbling short in midfield. Like Iniesta, but younger and already out of Barcelona, today wearing a Bayern shirt, Thiago is also a good half of the case dribble. Not those ride and fantastic throws, but in dry cuts that help in creating plays in midfield. Although not the most exciting players of Real Madrid, Isco has higher quality in dribbling. More than Cristiano Ronaldo, Bale and James. His overall is down 84, but he is great for those who want to circumvent. Robben received on the left, cut to the middle and kicked. How many times have you seen a move exactly like that in real life and in PES 2016? That is why he is undoubtedly one of the best dribblers of the game and excellent weapon in the corner. The center forward of the City is so different that not only makes goals and runs well, He is also great dribbler. As Kun, Lucas Moura, Marco Verratti, Sami Nasri and David Silva has 90 points of dribble.